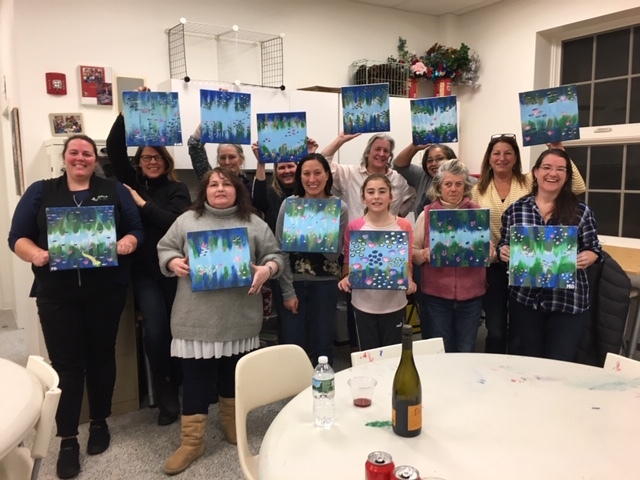 We kicked off February with a fun group of 12 who enjoyed a little wine, a few nibbles, a bit of creativity, and a lot of laughs! Sip ‘N Paint, put on by the Drunken Palette in New London was a great success. Anyone interested in participating in the next one, please email staley@ficommunitycenter.org.